I haven’t been experimenting with different hair styles lately, since my goal for this relaxer stretch is to keep my ends hidden and protected with the occasional “cheat day” lol. I have been keeping up with my weekly washdays and treatments. I’m currently 9 weeks post so its essential that my new growth is stretched out to avoid single strand knots. 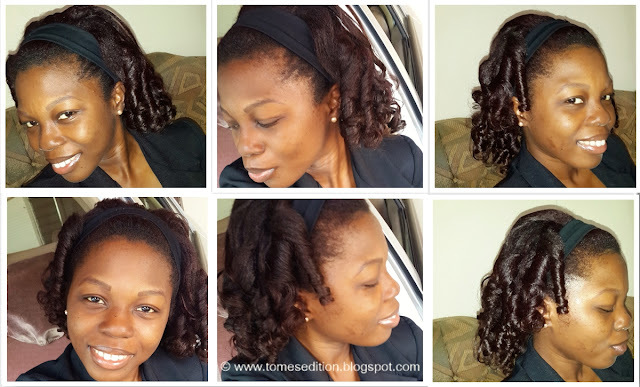 So this week I grabbed my flexi-rods and placed 8 in total to achieve these curls. For the last couple of weeks I've been rocking high and low buns. Its so exciting that I can do my buns without fillers. From my high bun I just let my ponytail hang as I was feeling extremely confident on that day. I was pleasantly surprised how thick and long my pony was. I finally have some hang time. This is probably the last time I will airdry my hair out like this till after my relaxer. My new growth needs to be stretched but I think I will go for the tension blow out method for the remaining washdays. 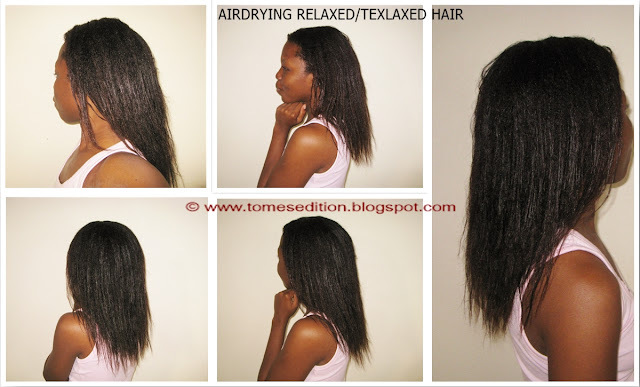 How have you been wearing your hair lately? Your bun and pony tail are so gorgeous and full!! How do you get your edges looking so neat and laid down well? Thanks Becca! I used Aloe Vera gel, tied my edges for 30mins and they were laid. wow your bun has so much life!!! its amazing! All the best with your stretch! Wow love your hair. You have the best flexi-rod sets and your bun and pony are simply gorgeous. 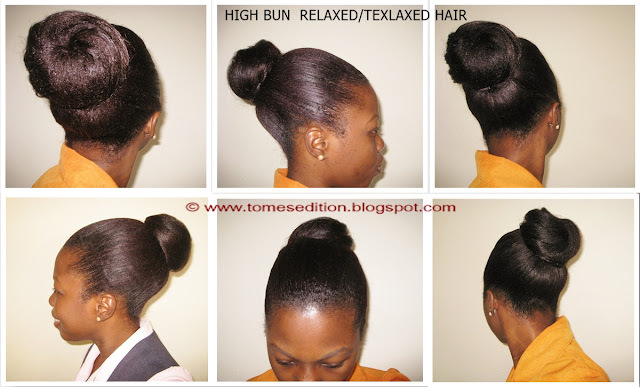 How do you create the high bun? Do you put it in a ponytail then twist it around to form a donut shape then secure with a bobby pin or tuck the ends under. I think you had a tutorial somewhere that I have seen before but for the life of me cannot find it. Gorgeous hair Tomie and I still see a hint of the crimson color. I found your tutorial on the basics of bunning. I know I saw it before. Sorry for the many posts. Your hair is gorgeous and your tutorials help a lot. Thats no problem Anna. Glad i could help! 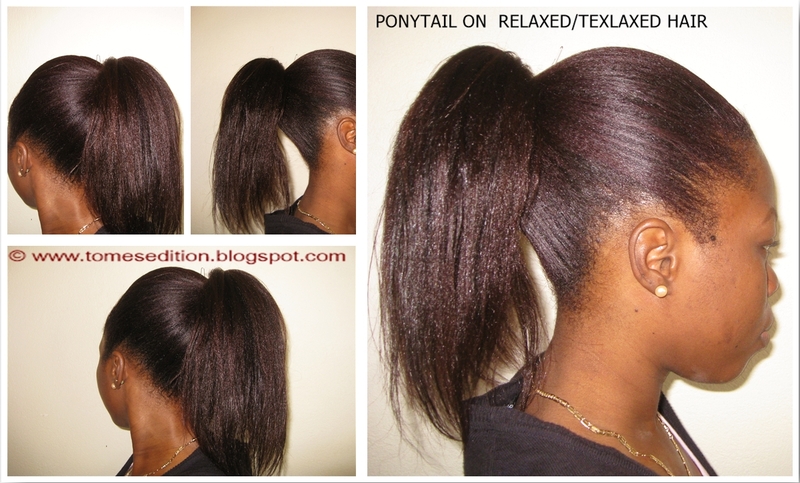 Love your ponytail, fullness, edges,your blog,everything. Haha! And oh to your question, i've been bunning lately because i'm 22weeks post relaxer. Awwww thanks you. Heading to your blog now. That bun is A-MA-ZING! Wow. Love it! I absolutely love the bun & pony! I see you are still rocking the hair color. These curls are beautiful! Love your ponytail...and...Your bun just keeps getting bigger...beautiful!